Looking for a beautiful gift for your mom on Valentines, Birthday, or Mother's Day? This beautiful bookmark will warm your mother's heart! She will truly enjoy keeping her spot in a great book with this beautifully engraved special bookmark. 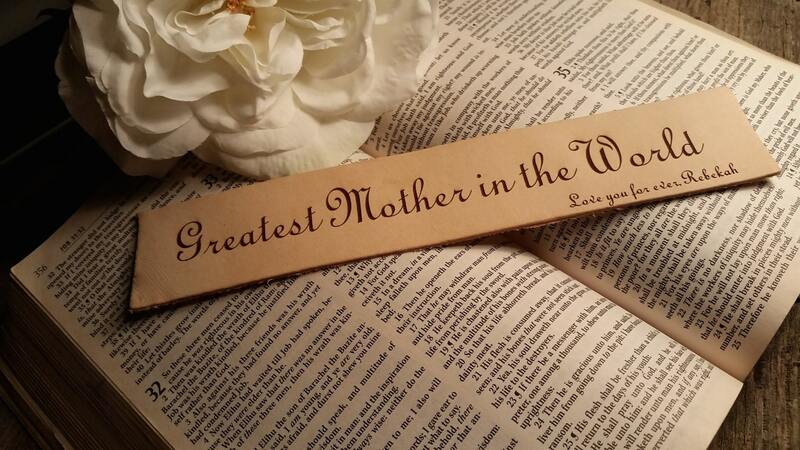 Let us custom engrave this beautiful bookmark for you, and it will become a special keepsake for your mom, grandma!